Buying and maintaining a motorhome can be an extremely costly endeavor. Many families have turned to renting RVs, which presents an excellent opportunity to save money, while still enjoying the benefits. For many American families, relaxing on a cool summer night while sharing precious moments with family and newfound friends out at the RV campground is one of those sorts of memories that they take with them for the rest of their lives. As special as RV travel can be, however, anyone who is familiar with the idea knows that buying and maintaining a motorhome can be an extremely costly endeavor. 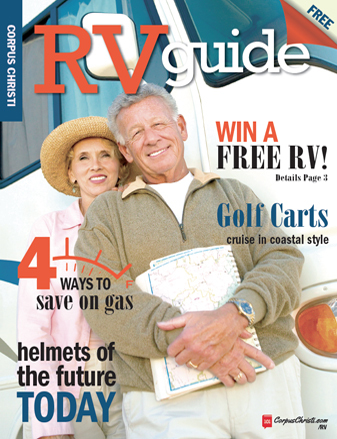 In fact, the average RV owner spends $715 per month on his or her RV. To avoid this expensive situation, many people who enjoy RVs don’t actually want to own their own although they still want to enjoy the wonderful benefits this unique form of travel has to offer. As a result, rather than buying a motorhome, many families have turned to renting RVs because it presents an excellent opportunity to save some cash while still enjoying all the benefits. While renting an RV can certainly be easier on your wallet than buying, the costs can still be substantial if you’re not careful. Let’s walk through some tips for saving money and getting the best deal on a motorhome rental in your current location. Demand for RVs is typically highest in the summer. Therefore if you’re looking for the best deal, you can generally find a slight discount in the spring and fall and even more so in the winter. While the weather can be more variable during these times of year, depending where you’re going, you can ensure that you still have an amazing trip. 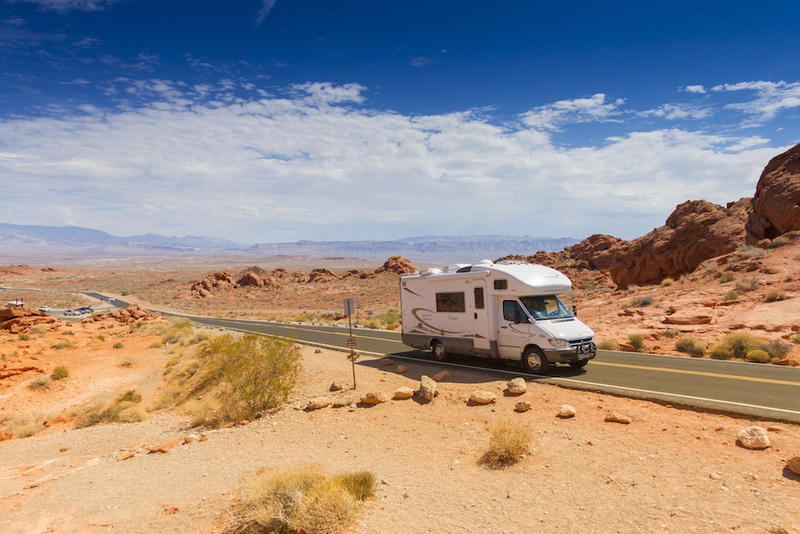 If you do choose to rent an RV during the spring or fall, it’s generally a good idea to head toward warmer climates where you won’t have deal with cold weather. For those who are ready to brave the cold to find a great deal, you may find that your RV rental has “winterized,” which means that the liquids have all been removed from the vehicle and replaced with anti-freeze. Did your mother ever tell you that you’ve got to shop around? It’s good advice when it comes to renting an RV. You should weigh in a few different vehicles before making a choice. There are a wide range of price points in the RV market and it’s good to write out a list outlining your options based on features and prices. While many would-be renters assume they have to rent from a rental company, new peer-to-peer options have appeared online that allow RV owners to rent their motorhomes directly to renters. One easy marketplace for finding a wide variety of options all at once is the peer-to-peer website RVshare. When you visit RVshare, you find it’s similar to the on-demand model made popular by Airbnb and Uber, but instead of rideshares or short-term rentals, you find a community-driven RV rental marketplace made up of many individual dealers and private owners. It’s a fact that the average motorhome isn’t in use for over 90 percent of the year! To offset the costs of maintaining their vehicles while their not in use, entrepreneurial RV owners have found that it’s easy to rent their motorhomes on RVshare for a few months or weeks out of the year and make some extra money to cover some of the costs. Even better for the customer, is that this situation allows for personal relationships to form. Much of the time it’s about more than just the money for these RV owners, it’s about the incredibly rewarding feeling of knowing that they are playing a part in introducing others to the freedom of taking an RV down the open road anywhere you choose to go. This means that these RV owners are more likely to cut you a deal because they’ll see as another member of the RV community instead of just a customer. In reality, it’s the first service of its type and it’s got incredible potential to change the face of the RV rental marketplace. But that’s not all. In addition to independent owner listings, you also find listings from all the RV rental dealers located across the country. This makes it easy to find the best deal at this one-stop-shop where you can compare hundreds of options from your living room computer. What we’re seeing here is the power of web and mobile technology to create efficiency in the marketplace by matching demand and supply in a user-friendly way. At the same time, countless families in the United States would love to drive out onto the long and winding road through the vast American continent for themselves. While most of the time you’ll expect to pay $150 per day or more, at RVshare the price is much lower where RVs start at just $100 per day. Not only that, but when you rent an RV online through RVshare, they provide 24/7 roadside assistance for your entire trip — for free! That security can help you avoid major unforeseen costs in the event of an emergency or breakdown. Once you’ve found the best deal on a rental, you’ll still have to make sure you’re saving money while on your trip or else the costs can add up quickly. These tips should help you find a great deal and save a lot of money on your next trip RV rental. Have a great trip!